Moveo / Home / Welcome 2018! We are delighted with how we ended our 2017, so we want to share with you some highlights of our year! The Cia Moveo takes on an international tour, after premiering our new production “Conseqüències”, with the support of Imaginarius Festival of Portugal and Fira Tàrrega of Spain and winning the Moritz FiraTàrrega Prize for Best Premiere of Street Arts. After a tour of more than 50 presentations ofTu vas Tomber! in France, Portugal, Spain and Switzerland, this year will take us to England, France, Holland, Hungary, South Korea and Spain. With the company we’ve had the pleasure to collaborate in training projects for entities such as Festival Rbls, Caixa Escena, EOI la Pau or la Casa Mirasol of Sant Cugat. In June we finished with very good results another school year of our Diploma Programme in Corporal Mime and Physical Theatre. We presented in the Can Felipa Theatre the shows ¿Cuál es la Pregunta? directed by Olivier Décriaud and El Sueño, directed by Mai Rojas and Montse Bonet. The videos are available here. Laban Technique. We were also thrilled to welcome training sessions by the Cie CAGE of France, Suzuki Viewpoints by Lowri Jekins and Lorenzo Montanini, as well as Singing in Grotowski’s work by the Co. in Residence at the Thomas Richards Centre in Italy. On 3rd of October we started a new school year of our Diploma Programme with students from 15 different countries. We continue working proudly with the teachers Olivier Décriaud, Mai Rojas, Montse Bonet and Cecilia Colacrai, and we welcome Andreu Martínez! We are glad to share with you new clips where we present the different subjects of the Diploma Course. To receive the information of all our activities, register on our webpage www.moveo.cat for the Centre, and consult www.ciamoveo.cat for the Company, or follow us on social networks Facebook Moveo Centro / Moveo Cía, Twitter, Instagram, Vimeo, Youtube, Google+. 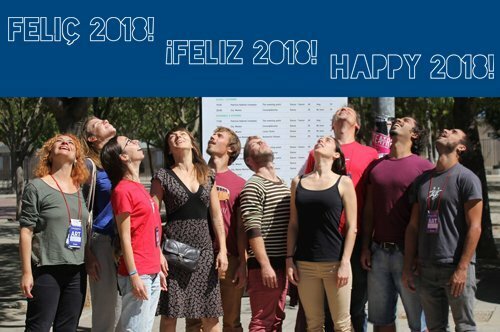 We invite you to visit us during 2018! 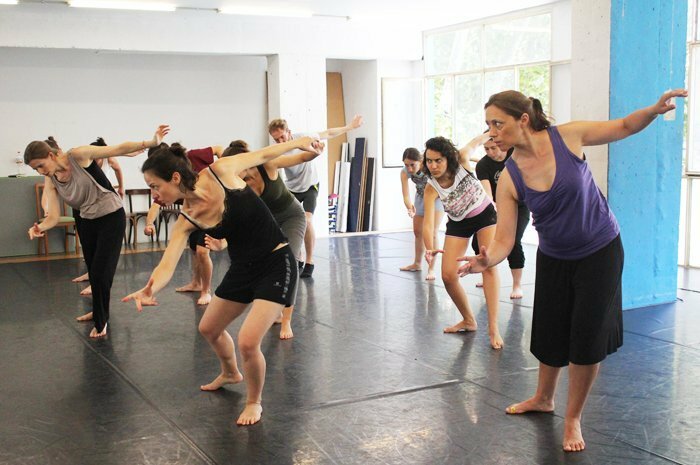 Moveo keeps being a place full of life and work, where we all continue with enthusiasm and the desire to make the arts of movement a way for artistic creation and performance.